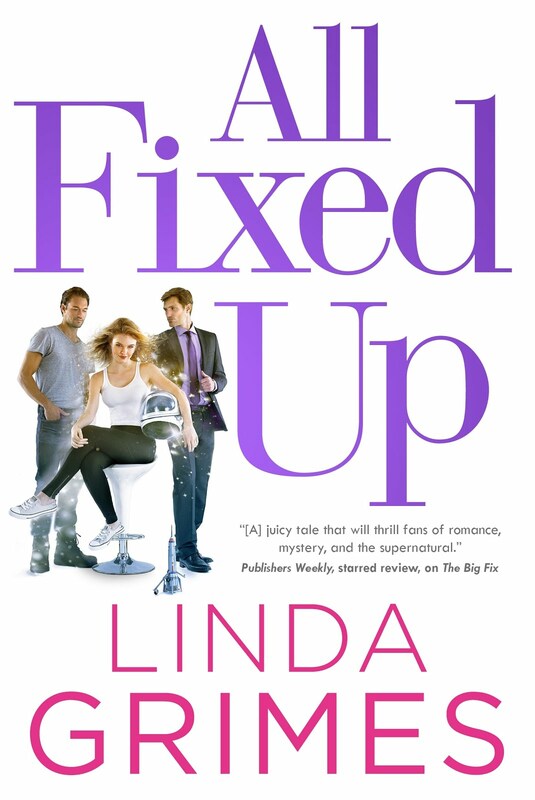 Linda Grimes: Visiting Reality : What Kind of Potato Are You? 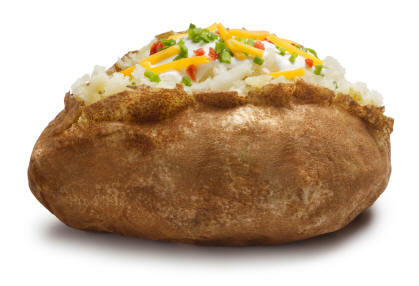 Baked Potato -- You're plain and simple at heart, but you dress up well when the occasion warrants. 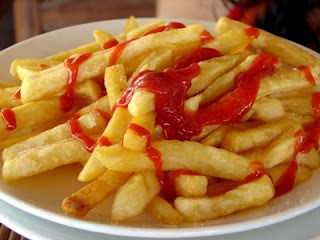 French-Fried Potato --Your true character comes out when you're dipped in hot oil. You look good in red. 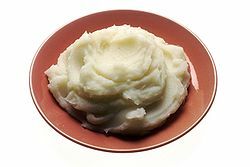 Mashed Potato -- It takes a little effort to get the lumps out of you, but then you're one smooth number! 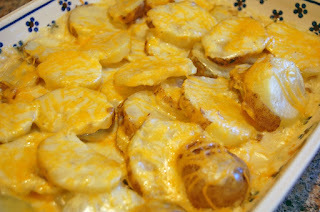 Au gratin Potato -- Warm and delicious, but basically cheesy. 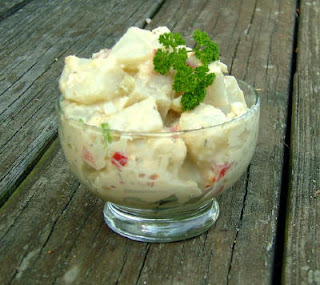 Potato Salad -- You're happiest when working with other ingredients--er, people. 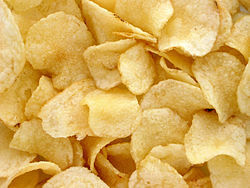 Potato Chip -- Crisp and salty, but you tend to snap under pressure. How about you? Are you one of the above, or perhaps one I forgot to mention? Do tell! P.S. Since it's Friday, I'm over at The Debutante Ball. Is there, you may be wondering, a connection to potatoes in my post there? The answer is a resounding, passionate yes! I am ALL the potatoes...I'm a potato buffet!!!! And now I'm hungry...thanks! I think I'm a potato chip. oh, half-baked. Or a chip. I go both ways. Wait, what? I'm a... I'm a ... Oh heck, I'm a-going to the kitchen and have a snack. I wonder if we have any chips. I've referred to myself as a stress-potato a few times...you know, like when you put a potato in the microwave to fake-bake it, and forget to punch holes in it with a fork first? Yeah, like that. I'm pretty sure I'm poutine - pure Canadian, hot and cheesy. I might look good, but spend too much time with me and it'll either make you sick or kill you outright. I'm mashed but with sour cream and or cream cheese, not plain old butter. I'm a proper English roast potato - traditional and soft centered. lol! I guess I'm a baked. Yeah, that makes sense. You're such a nut. I love it. Do hash browns count as potato? this is awesome. baked potato all the way!